The next stop after our stay in Las Vegas was California. We stopped in Los Angeles for 4 nights. Our accommodation was sponsored by the amazing Sirtaj Hotel which is located in the heart of Beverly Hills and just off Rhodeo Drive. This hotel could not have been more perfectly located. Immediately after arriving in LA, we had already begun feeling like celebrities and knew that the lifestyle of the rich and famous was what we were meant for….just kidding! We certainly did not fit in with our Prius amongst Cadillac’s and Maserati’s which were all over. The decor at the hotel was amazing! It was a fusion between Indian and modern. The food was exceptionally good and I ate their Chicken Tikka almost every day. So, what did we do in LA? On our first day, we went on the Celebrities Hollywood Homes tour with Jeff from Star Track Tours. It was so exciting to get a feel for where the celebs sleep, play and eat. We went to the famous Runyon Canyon Park, where celebs are always spotted walking their dogs or going for a run. We drove by tons of celeb homes including The Kardashians…my all time favs. Even though they all live in gated communities, we got to see where Kimye lives as well as Khloe Kardashian. It was a great and informative tour through a stunning and very pricey area. The next day was spent at the incredible Universal Studios. Although it isn’t as large as the one in Florida, it was still a phenomenal experience. From meeting dozens of characters to thrill seeking rides, it really was a special place. Jacques obviously went on every single ride…twice! Me on the other hand…I tried my luck with just two. It was great taking a Studio Tour through the film sets at Universal and being a part of some of our favourite TV shows. We visited the incredible Wisteria Lane where Desperate Housewives was filmed, met some of the dinosaurs from Jurassic Park and even encountered the eerie plane crash from War of the Worlds. I’m a huge fan of Bates Motel, so it was so cool to come face-to-face with Norman Bates at the legendary Bates Motel set. The highlight, however, was the King Kong 360 3-D created by Peter Jackson – The world’s largest 3-D experience, only on the Universal Studios Hollywood Studio Tour. Two curved screens, each measuring a massive 187 feet wide by 40 feet high — the equivalent of 16 movie theatre screens — surround the Studio Tour tram. It blew our minds! The next day was spent visiting the Hollywood Walk of Fame which was such an entertaining experience. This LA strip is filled with tourists, entertainers and just amazing sights and sounds. 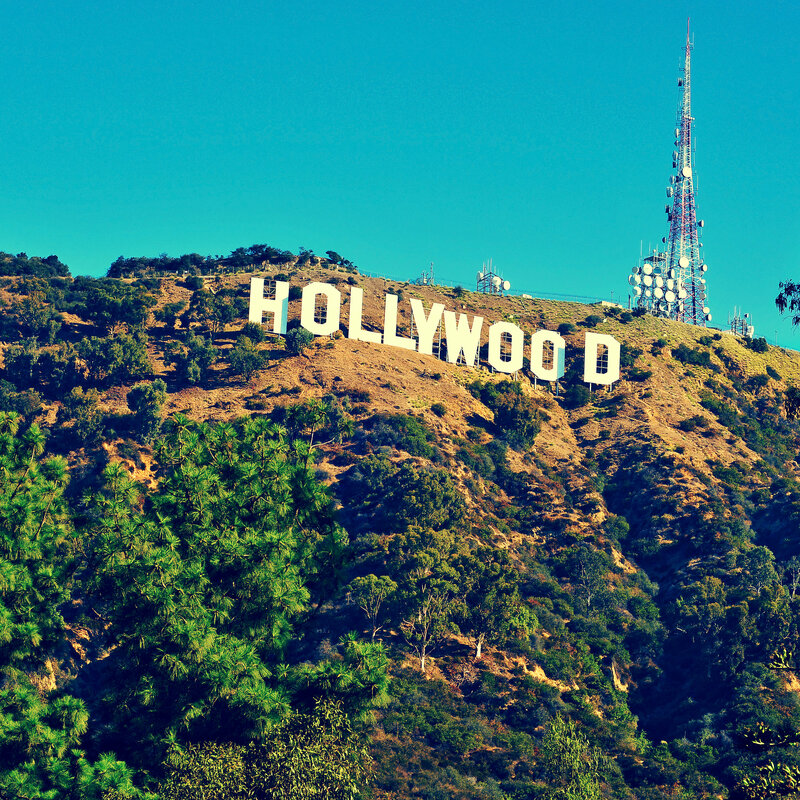 If you really want to feel the Hollywood vibe in LA, then this is the place you need to be at. 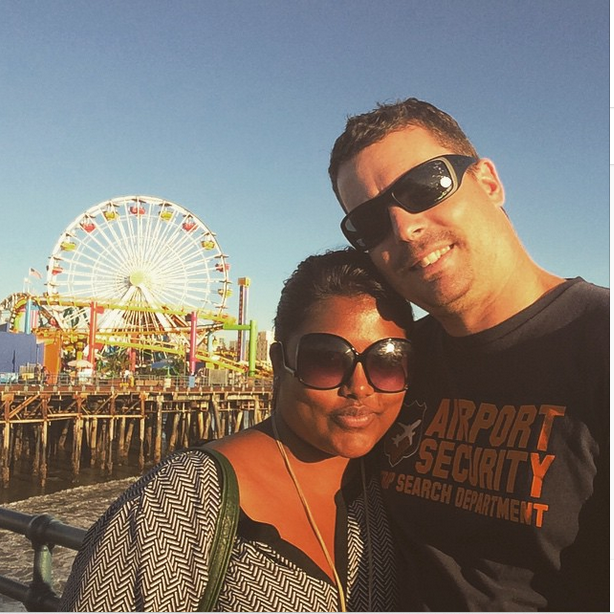 We visited the iconic Santa Monica Pier where we ate Churros, walked on the beach and watched the sunset. Although it signified the end of Route 66, our journey was not over yet. The last we thing did in LA before leaving was visiting the Dash store. Although it was Christmas Day and it was closed, it was still pretty awesome to have seen the store. I’m a huge Kardahsian fan so being here after following the Dash journey was incredible. Having spent the festive season and Christmas more specifically on a beach for the last 25 years, I am really looking forward to a white one this year. What better place to experience the magic of Christmas other than New York City itself. I have heard that it is a once in a lifetime experience; not to be missed. Technically we will spend Christmas Day in Los Angeles but we definitely cannot wait to celebrate the festivities in New York as well. Ice skating in central park, taking pictures with the big tree, watching the lights and drinking hot cocoa in Santa Land are just some of the things I am planning on doing. Finding a dressed up Santa Clause waving his jingle bell asking for donations is on the top of my list too. I grew up with those images from famous Christmas movies and cannot wait to see it in reality, no matter how cliche it might be. Have you spent Christmas Day in Los Angeles? I can only imagine that it might be very different to New York or is it the same? Let us know what we should not miss.